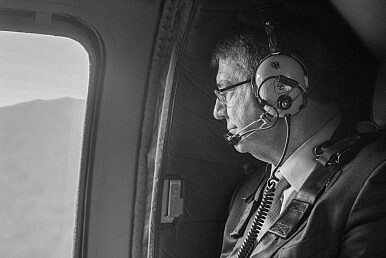 The U.S. Secretary of Defense’s ongoing tour in the Pacific demonstrates that the “Pivot to Asia” is still important. Tensions between Pyongyang and Seoul have been high since this August. Following the maiming of two South Korean servicemen by a North Korean landmine, South Korea activated several large propaganda loudspeakers aimed at North Korean soldiers and civilians across the DMZ. A short artillery exchange took place as a result, in which no one was injured or killed. However, this occurred during a planned U.S.-South Korea military exercise and has since kept relations between Seoul and Pyongyang frozen. The details of the criteria for the transfer of OPCON have remained diffuse. However, following the meeting between Carter and Han, some of these have been revealed. Carter specifically mentioned that Seoul has to improve its intelligence and counter-artillery capabilities before the OPCON-transfer can take place. By then, South Korea will have finished the installation of its indigenous defense systems, Kill Chain and Korean Air and Missile Defense (KAMD). Han reiterated the defense system plans, saying that they will be critical military capabilities for responding to North Korean nuclear and missile threats and interoperable with the U.S. defense system. Until then, the U.S. will also retain its counter-artillery forces close to the inter-Korean border, referring to the U.S. Force Korea’s 210th Field Artillery Brigade based right below the DMZ. Another important topic of discussion is North Korea’s cyber-capabilities. South Korea and the United States have accused Pyongyang of being behind several attacks targeting financial institutions, government sites. and media. This notably included a large-scale attack against three South Korean TV-stations in 2013, as well as the hacking of Sony Pictures following the release of The Interview, a satirical comedy about Kim Jong-un. Yesterday, Carter continued to Kuala Lumpur, where he is participating in the ASEAN-plus Defense Ministers’ meeting. Here, China’s quarrel with its neighbors and the United States’ recent freedom of navigation patrol in the South China Sea is likely to be an important issue. The stops on Carter’s Pacific tour are telling. The Arctic is a crucial area for many Asian states (notably China, who recently deployed a squadron of warships to the Bering Straits). South Korea remains a key U.S. ally in the region and is a bulwark against North Korean aggression. The South China Sea involves many states that are an important part of the current and future U.S. military presence in the area. While the individual meetings are interesting in themselves, Carter’s tour is probably intended to send a signal that despite distractions in the Middle East and Eastern Europe, the Obama administration’s “Pivot to Asia” is still a top priority.